If you require a receipt of payments towards your Wild Apricot account, you can submit a support request to our Billing department. Our payment system retains receipts for the last 18 months only. 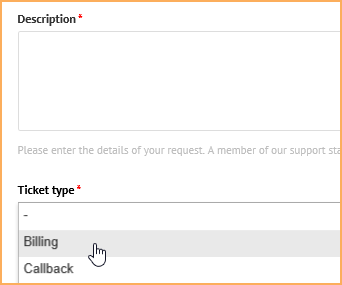 You can submit a support request by clicking the Submit a ticket option on the support portal at http://support.wildapricot.com. On the support request form, enter a brief summary of your request in the Subject field, and details of the request in the Description field. Then, choose Billing as the Ticket type.